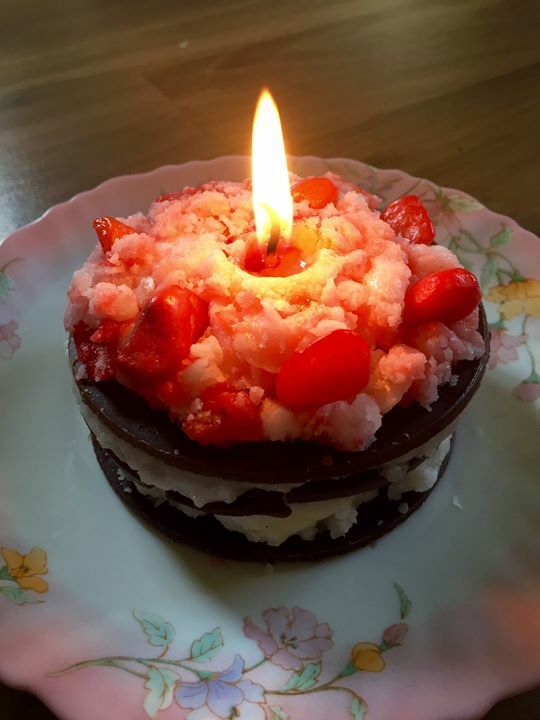 So, Surprise your Loved one this ‘Valentines Day’ by making it Super Scent-Sational where you Bake… Oops Make an Exotic Zero calorie Yummylicious “Black Forest Cake Candle” in MEEHRR’S CANDLEMAKING WORKSHOP, just for them. Its indeed A Sinful Dessert Candle which looks like a Cake but is purely A sinful guiltfree indulgence !! Yeah… A unique chance to learn Meehrr’s Yummylicious Zero Calorie Exotic Cake candle from its Dessert range featured in the leading newspaper “Deccan herald” recently ! !